Congratulations to Seth, the randomly chosen winner of Scott Rae’s Moral Choices! Seth blogs at Reformed Seth. Many thanks to everyone who took the time to enter and list the books you’ve enjoyed recently. Look for another giveaway soon of Stephen Meyer’s Signature in the Cell. Some of the interesting books you’re reading include . . .
– Russ Shafer-Landau’s Whatever Happened to Good and Evil? – The Knowledge of the Holy by A.W. Tozer. Some good stuff there. If you’re looking for new things to read, you’ll find these and several other good leads in the original post’s comments. 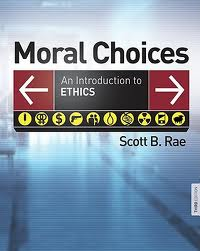 I used Scott Rae’s book Moral Choices in two different ethics classes in seminary and benefitted from it a great deal. It’s now in it’s third edition, and thanks to the generous folks at Zondervan (@Zondervan on Twitter, Facebook here), I’m giving away a copy at Cloud of Witnesses. As the subtitle says, the book is an introduction to (Christian) ethics. In the first four chapters, Rae lays out some theoretical groundwork by pointing to various elements of a Christian approach to ethics, and then surveys various ethical systems such as utilitarianism, deontological approaches, and virtue ethics. Chapter 4 provides a general framework for making ethical decisions. Chapters 5 through 12 take up a variety of ethical issues and treat them from a Christian viewpoint. These timely topics include abortion, cloning, euthanasia, sexual ethics, war, and economics. Each chapter includes review questions, case studies for discussion, suggestions for further reading, and helpful sidebars. If you’re looking for a concise but comprehensive survey of Christian ethics from an evangelical perspective, Moral Choices is one of the best in print in my opinion. To enter the giveaway, comment on this post and tell me the best book you’ve read recently. (Please include your email address in the comment form so I can contact you if you win.) Also, please share this post on the social media site of your choice (Facebook, Twitter, etc.). I’ll announce the winner this weekend. A reminder that to be entered for the book giveaway, simply subscribe to this blog’s RSS feed or email newsletter, and let me know you did in a comment on this post. If you’re a current subscriber and would like to be entered, please leave a comment as well. I’ll select a random name this Wednesday for the book, and also post a review. People often talk about worldview when describing the philosophy that guides their lives. But how have we come by our worldviews, and what impact did Christianity have on those that are common to Western civilization? This authoritative, accessible survey traces the development of the worldviews that underpin the Western world. It demonstrates the decisive impact that the growth of Christianity had in transforming the outlook of pagan Roman culture into one that, based on biblical concepts of humanity and its relationship with God, established virtually all the positive aspects of Western civilization. . . . Unique among books on the topic, this work discusses Western worldviews as a continuous narrative rather than as simply a catalogue of ideas, and traces the effects changes in worldview had on society. 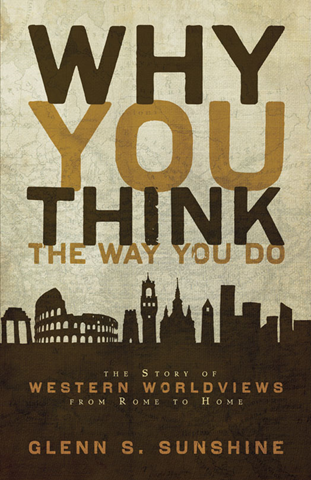 Later this week I’ll be posting my friend Adam Reece’s review of Glenn Sunshine’s book Why You Think the Way You Do (Zondervan, 2009). Thanks to the generous folks at Zondervan, I have an extra copy of the book to give away. To be entered, simply subscribe to this blog’s RSS feed or email newsletter, and let me know you did in a comment on this post. If you’re a current subscriber and would like to be entered, please leave a comment as well. 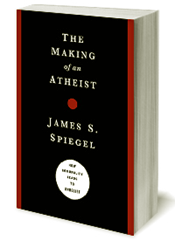 It’s a pleasure to welcome Jim Spiegel to Cloud of Witnesses to answer some questions about his recently released book, The Making of an Atheist. I will post the second half of the interview tomorrow, and as mentioned last week, I will collect a few follow-up questions from these posts for Jim to respond to. So, we welcome your questions related to the book or the interview. In addition, everyone who posts a question will be entered into a drawing for a free copy of The Making of an Atheist. Chris Reese: What prompted you to write The Making of an Atheist? Jim Spiegel: As I’ve followed the new atheist movement and Christian apologists’ responses to atheists’ arguments, I’ve been dismayed at the lack of attention to the moral-psychological roots of disbelief. Since this is so heavily emphasized by the biblical writers, I thought someone needed to address it. Also, I wanted to confirm an intuition shared by many Christians who read the new atheists—that their books are more the product of anger and bitterness than an even-handed, dispassionate look at the facts. CR: What has the response been so far to the book and website? JS: The response has been largely positive. In fact, I have never received so many encouraging notes from strangers who wrote to thank me for writing the book. But there have been some negative responses as well from some atheists and agnostics who insist that their rejection of God has been purely an intellectual matter. CR: Many atheists will be offended at the thesis of your book. What would you say to an atheist like this who claims he grew up in a basically normal home and is a decent person, but just doesn’t feel there’s good evidence to believe in God? JS: I would note that growing up in a basically normal home doesn’t preclude moral rebellion. And regarding those who insist that they are morally “decent,” I would be curious as to what they mean by this. Before I was a Christian there were many things that I considered to be morally permissible—from sexual promiscuity to resentment and certain forms of revenge—which I now recognize to be immoral and even distorting of one’s perception of reality. The fact that a person passes his or her own test for moral decency is hardly reliable as a gauge for their actual virtue.